1st: Jankowski struck out swinging. 3rd: Jankowski reached on infield single to second, Galvis scored, Margot to third. 7th: Jankowski struck out swinging. 9th: Jankowski struck out looking. 1st: Hosmer lined out to left. 3rd: Hosmer grounded into fielder's choice to second, Margot scored, Jankowski out at second. 5th: Hosmer doubled to deep center, Lauer and Jankowski scored. 1st: Cordero struck out looking. 3rd: Cordero flied out to left. 5th: Cordero grounded out to pitcher. 7th: Cordero doubled to deep left center. 2nd: Pirela grounded out to shortstop. 4th: Pirela singled to left. 7th: Pirela grounded out to shortstop. 2nd: Lopez struck out looking. 4th: Lopez struck out swinging. Pirela caught stealing second, catcher to shortstop. 6th: Lopez singled to right. 8th: Lopez popped out to second. 2nd: Spangenberg struck out swinging. 4th: Spangenberg singled to right center. 8th: Villanueva flied out to right. 3rd: Galvis singled to center. 4th: Galvis grounded into fielder's choice to second, Spangenberg out at second. 6th: Galvis doubled to left, Lopez to third. 8th: Galvis struck out looking. 3rd: Margot walked, Galvis to second. 5th: Margot grounded out to shortstop. 6th: Margot grounded into fielder's choice to third, Lopez out at home, Galvis to third advancing on throw. 9th: Margot struck out swinging. 3rd: Lauer sacrificed to pitcher, Galvis to third, Margot to second. 5th: Lauer doubled to deep right. 6th: Szczur popped out to shortstop. 9th: Reyes struck out looking. 1st: Moroff grounded out to first. 3rd: Moroff struck out swinging. 5th: Moroff reached on bunt single to first. 6th: Moroff struck out swinging. 8th: Moroff struck out swinging. 4th: Polanco grounded out to second. 5th: Polanco flied out to center. 1st: Cervelli grounded out to shortstop. 5th: Cervelli walked, Moroff to second. 7th: Cervelli flied out to center, Polanco to third. 2nd: Bell grounded out to shortstop. 4th: Bell singled to center, Cervelli to second. 5th: Bell singled to center, Moroff scored, Cervelli to second. 7th: Bell popped out to first. 4th: Dickerson doubled to left, Cervelli scored, Bell to third. 5th: Dickerson flied out to left. 7th: Dickerson safe at first on error by third baseman Villanueva, Polanco scored. 4th: Freese hit sacrifice fly to left, Bell scored. 5th: Freese grounded out to third. 7th: Freese singled to left center, Dickerson to third. 3rd: S. Rodríguez singled to center. 4th: S. Rodríguez doubled to left, Dickerson scored. 6th: S. Rodríguez lined out to third. 7th: S. Rodríguez struck out swinging. 3rd: Mercer flied out to center. 6th: Mercer grounded out to pitcher. 8th: Mercer lined out to third. 3rd: Kuhl sacrificed to first, S. Rodríguez to second. 4th: Kuhl grounded into fielder's choice to shortstop, Mercer out at second. 6th: Brault doubled to deep left center. 8th: Osuna grounded out to third. 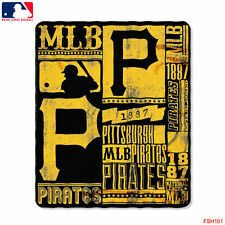 Gregory Polanco led off the seventh inning with a double and scored the go-ahead run on an error, leading the Pittsburgh Pirates over the San Diego Padres 5-4 Thursday night for their eighth win in nine games.